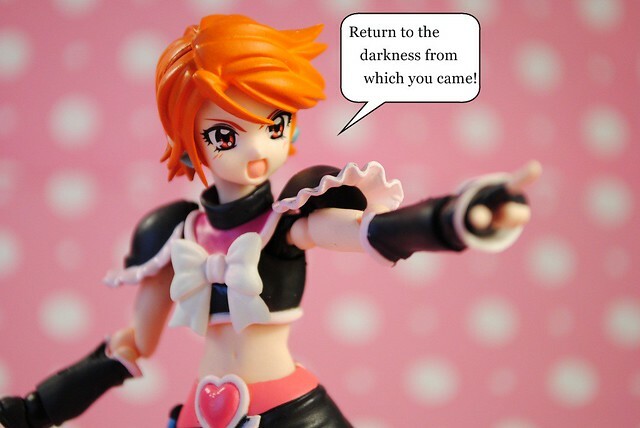 This past year I become a really big fan of the long running Pretty Cure franchise. 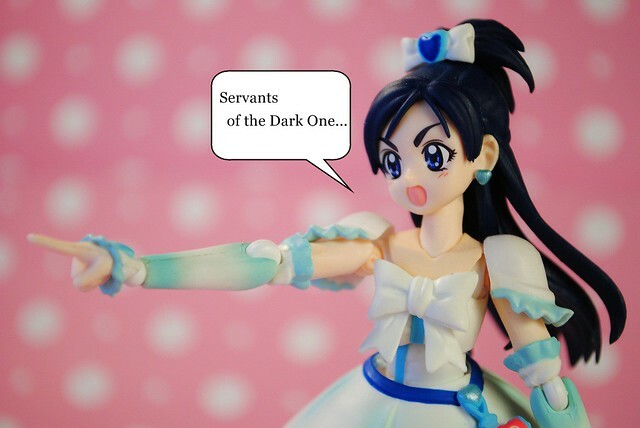 In case you are not aware of it, Pretty Cure is a magical girl meta series encompassing seven shows, wiki has all the summaries if you are interested. 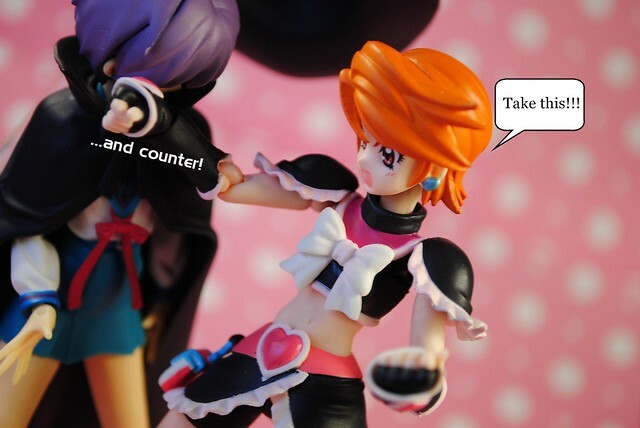 These two lovely ladies above are Cure White and Cure Black respectively from the original Pretty Cure show. That show is actually available to be watched completely online thanks to Funimation over at their website. You should go check it out. 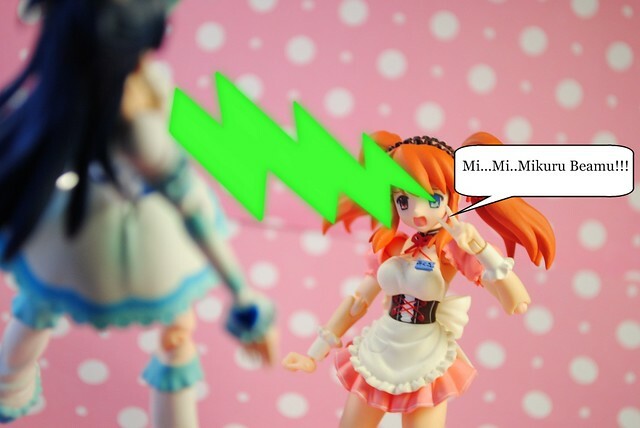 Pretty Cure surprised me, I truly expected some girly magical girl show. The usual fluffy storylines with an unwilling protagonist and so on. I expected the battles to be more along the lines of the girls running around for a bit then finishing off the monster of the week with their finishing move, the same way every time. Something along the lines of good ol' Sailor Moon. Boy was I wrong, these girls often take the initiative and attack first. They kick, punch and throw their enemies around, attacking when there is an opening, not holding back at all. Once they beat the monster of the week or quirky mini boss squad member into submission then do they finish them off with their finishing move. 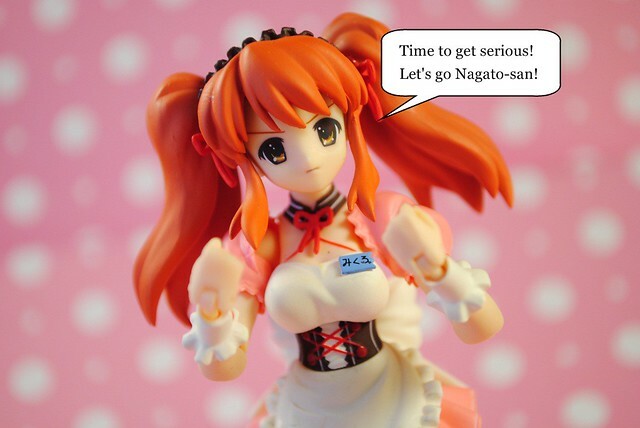 My friend put it best, this is not a magical girl show this is Kamen Rider with cute girls in frilly costumes. One thing that I like, is how the shows usually have protagonists, not one but two or more. The show wont focus on just one girl, it focuses on all of them. 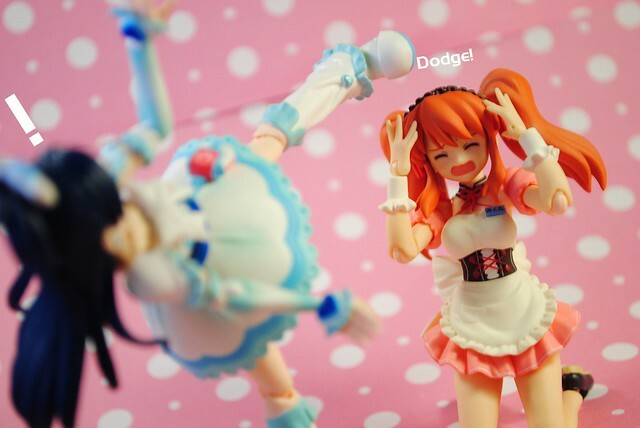 Gives them the spotlight both in the plot and battles. To put it simply, none of them is just a supporting role. Going further along those lines, as all Pretty Cures are protagonists team work is a big aspect of the shows. 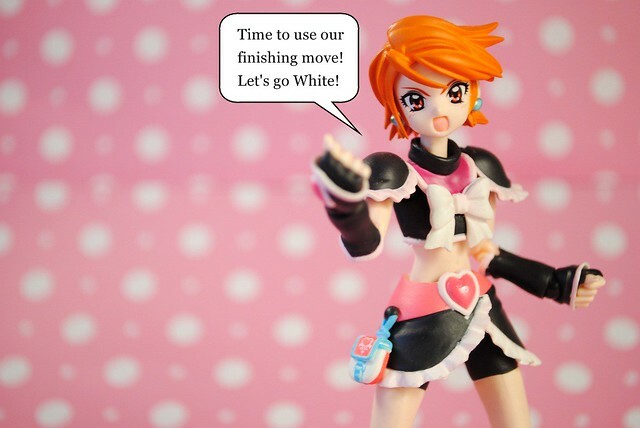 Take for example Cure Black and White, they can't transform or use their finishing attack alone, they need each other. 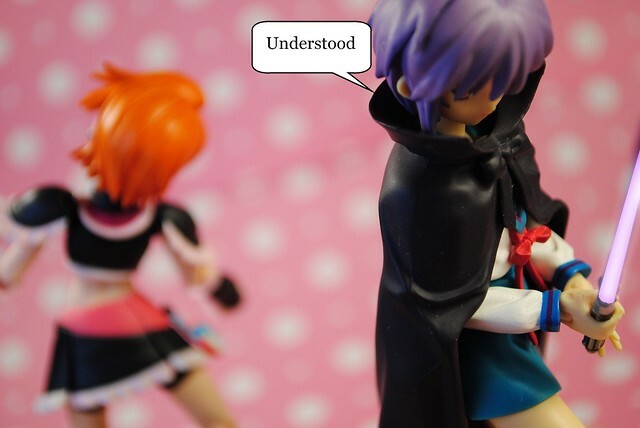 The friendship and bonds that they form outside of battle in turn strengthens their prowess in battle. This dynamic leads to what I think are the best two episodes of the show. 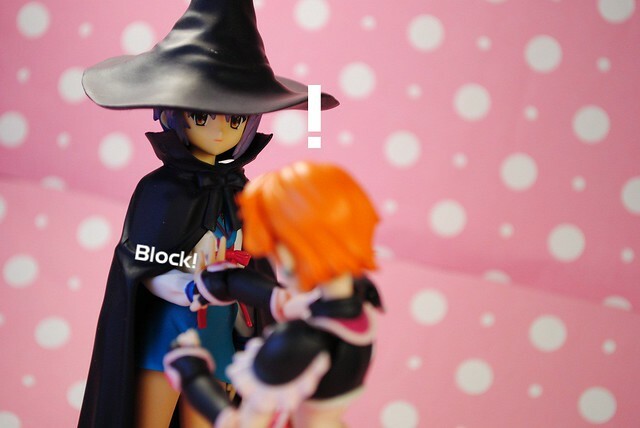 When they go from being just Pretty Cure to becoming friends, when they clearly state that alone their power might not much but together they wont lose to anyone. 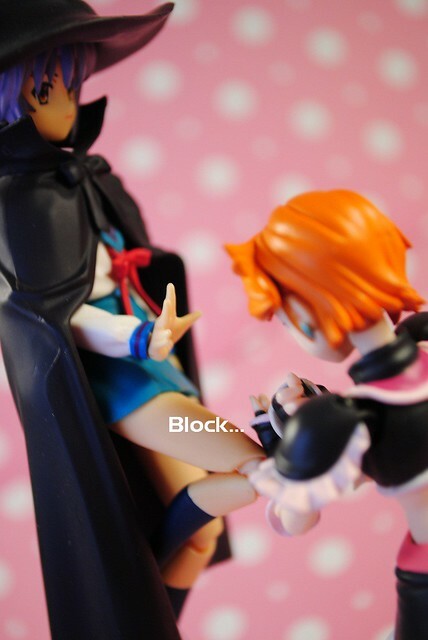 By the way, the two Precures are part of Bandai's newish line of articulated figures, S.H.Figuarts. 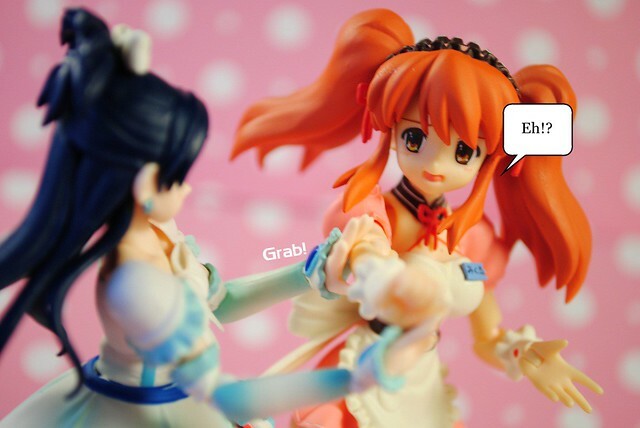 They are a big improvement over their previous lines of figures that had been released before. The previous line was more than lacking in terms of quality and accuracy in appearance of the characters. 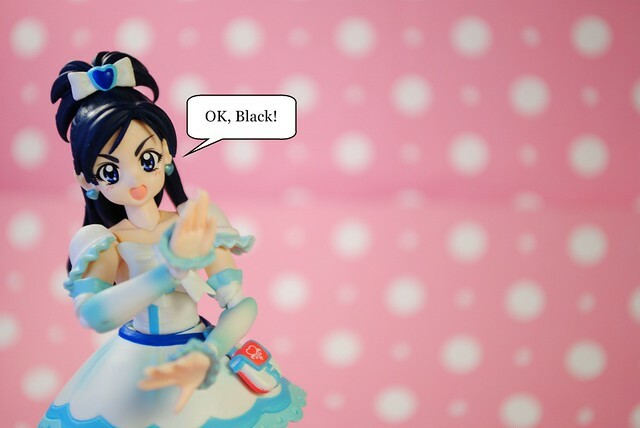 At the very least that's the impression I got from looking at Bandai's previous Cure Black and White. 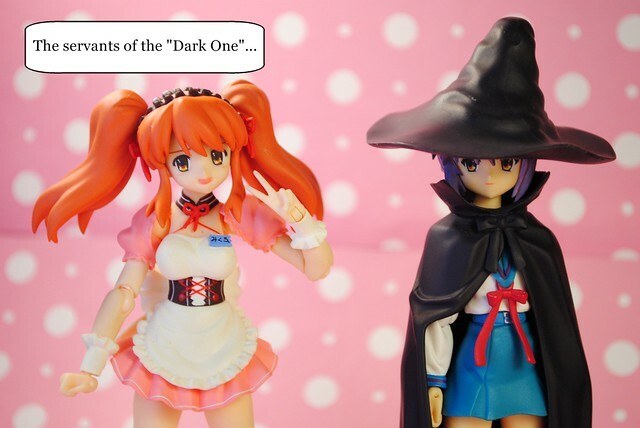 As you hopefully can see in these pictures, Bandai has improved their figures. Both Cure Black and White look just as they do in the shows. They do feel quite differently than figmas though, these S.H.Figuarts use more soft PVC instead of its more firm variant as in figmas. 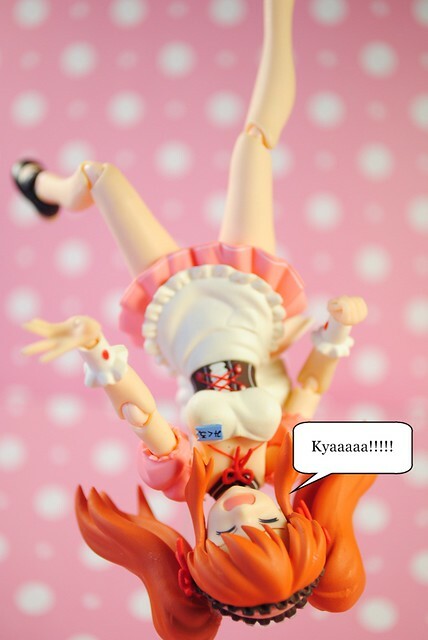 I also found removing the hair pieces and faces much more trouble some than figmas. As instead of simply snapping on and off these pieces have a wedge that takes a bit of force to remove or put in. Over all though, I am quite pleased with the quality and build of the figures and will probably buy more from this line. 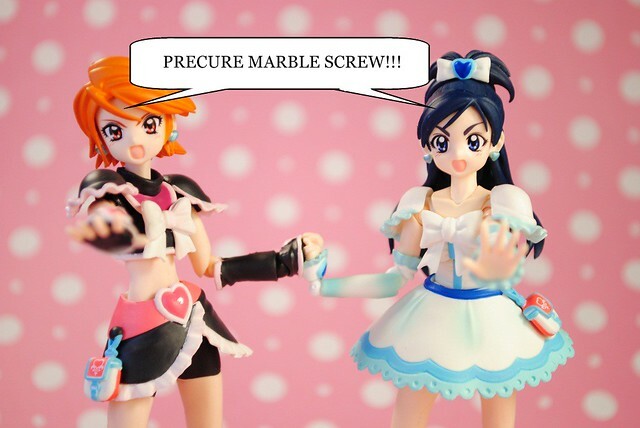 After all Cure Blossom and Cure Marine from HeartCatch Pretty Cure! are scheduled to release in January. 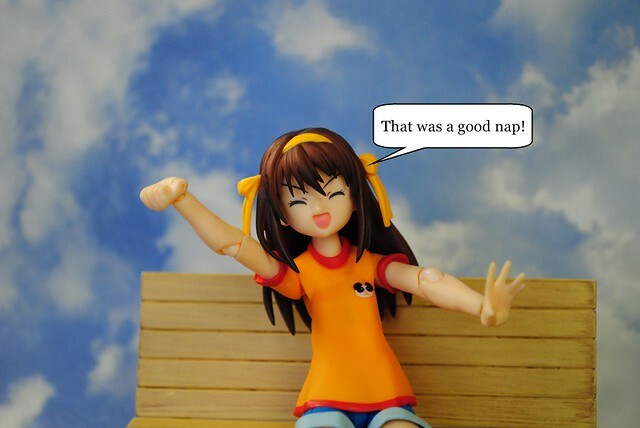 One last thing, man, setting up the pictures for this post took a bit more work and time than I expected. Hey! Something new is up!